The Mitre ® Ultimatch Plus Match Football White 12 Pack is Mitre's mid-level match ball - stamped with the IMS (International Match Ball Standard) accreditation mark. A direct replacement for previous versions of the Ultimatch. 12 x Footballs size 3, 4 and 5. Mitre's mid-level match ball - stamped with the IMS (International Match Ball Standard) accreditation mark. Develop with a unique 20-panel configuration for superior in-play consistency and superb ball flight. 4.5mm hyperfoam backing ensures fantastic control to inspire player confidence on the ball, without compromising power transfer from boot to ball. Enhanced durability and improved feel delivered through a 1mm PU outer - a season long performer. Engineered with revolutionary Hyperseam technology for almost zero water uptake, helping the ball last in any weather - a great choice for grassroot clubs. 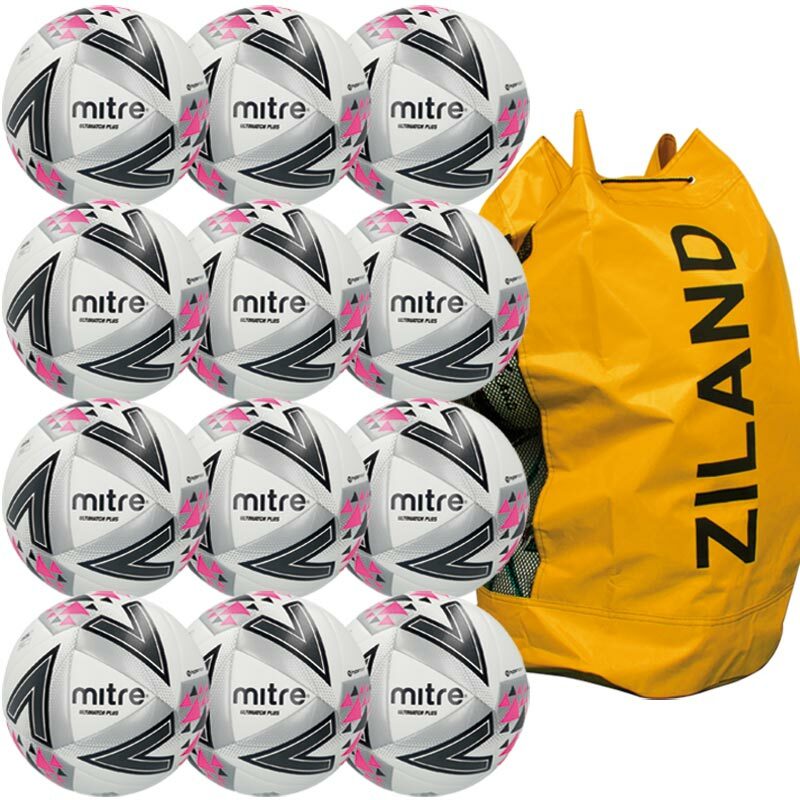 Match ball comes inflated and is available in size 5, 4 and 3. Suitable for a grass or astroturf surface. Built for control and accuracy.